Want higher mobile conversions? Offer mobile-only promotions and 4 more tips. 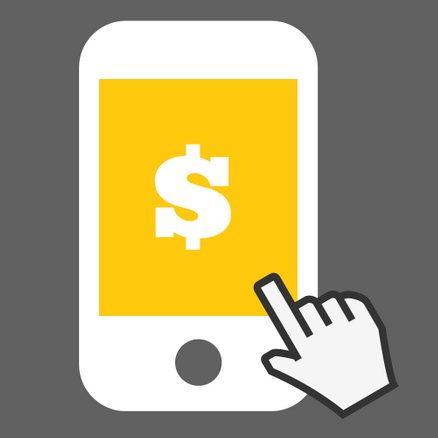 Want to make more money on mobile? Create mobile-only promotions. Retailers frequently lament the low conversions they see on mobile when compared to desktop or tablet traffic. From their perspective, with over 7 billion mobile devices worldwide, and people spending more time browsing on mobile, more time on the platform should mean more money. There should be a direct correlation between time on site and conversion, just like on desktop and tablet, for that matter. The commonly held perception is that mobile conversion rates should equal that of, or eclipse, desktop rates. But who said mobile behavior was logical? The fact of the matter is that there is no direct relationship between mobile browsing and conversion rates. In retail specifically, conversion rates hover just below one percent (1%) on average. If you’re a retailer with a mobile presence achieving between .8 and 1.0% conversion, know that you’re exactly where you’re supposed to be. If you’re achieving rates above 1%, you’re clearly ahead of the pack so keep doing what you’re doing. But if you’re consistently seeing conversion rates below .7%, then it’s time for you to take a cold hard look at your mobile strategy. If this is you (of the below .7% ilk) or if you’re looking for tips on preserving or even increasing your mobile conversion rates, you’ve come to the right place! Here are my top five sure-fire tips for increasing your mobile conversions. 1. Offer mobile-only promotions. A key to increasing conversions on a channel is keeping users on that channel. You’ve seen “online-only” products and promotions, that encourage shoppers to take advantage of and complete purchases online. These types of strategies take advantage of online shopper’s natural inclination to save money, whether it’s a discount, free shipping or an online-only offer. Brands which employ a mobile-only strategy will see an increase in conversions as shoppers will engage in similar behavior to take advantage of discounts, coupons, and specials. 2. Reward social share. If mobile is good for anything, it’s social sharing. Likes, favorites, retweets, and shares are social currency that brands should be actively trading in. Pinterest, for example, has given brands millions upon millions of unpaid promotions. Rather, than simply liking a post, brands should reward patrons or potential patrons for their favorable social promotion, by offering mobile coupons or discounts, in recognition, which can be redeemed the next time the user makes a purchase. Sammydress is one retailer who understands the importance of rewarding users who promote their brand. Sammydress encourages users to post images of themselves via social media and offers points for these activities. Users who collect enough points can redeem them for discounts on future purchases. 3. Mobile exclusives. There’s nothing better than feeling like you’re getting an exclusive benefit. The same holds true for mobile. Treat your mobile users like members of an exclusive club by giving them perks each time they convert, whether it’s responding to a post-purchase survey, click-to-call, favorite, like or share content via the mobile channel. Mobile exclusives incentivizes users to make their mobile device their channel of choice. Push notifications, text messaging and email are great ways of engaging your users with mobile exclusives, which can be pushed directly to members of your loyalty or rewards programs, folks who have signed up for your email newsletters or opted in to receive text messages from your brand. 4. A/B Testing. You’re never going to increase your mobile conversions if you’re not constantly testing, testing, testing. It’s one thing to have a theory about user behavior, and quite another to have data to back up your theories. More importantly, by performing A/B testing specifically, you’re able to see how one campaign or strategy racks up against another. Think desktop on mobile outperforms mobile on mobile? An A/B test will bear that out. Want to know whether an offer works best as a banner or a pop-up overlay? A/B testing can figure that out too. Is a red landing page more engaging than a black one? Conduct and A/B test and you’ll know for sure. 5. Give fewer options. I’ve often heard people say that they want their mobile customers to be able to have the same experience on mobile, as they do on their desktops. And I always respond “why?” They are different platforms, serving different needs, so why would you want the same content on both? Obviously, you’re not trying to reduce selection or service, but if you can accomplish in two steps on mobile, what it takes four to do on desktop, then by all means, cut out the unnecessary steps. On mobile, you want users to have a frictionless experience.Things like “one-click” checkout or allowing users to check out as guests (and thereby not have to log in to complete a transaction) are examples of how to apply this tip. And in this instance, less is more. The fewer steps you place in the path of the desired behavior, the more likely it is that you’re going to see your conversions increase. These are just a choice few suggestions for how to improve your mobile conversion. Got a tip to share? I’d love to hear it!